“If you can’t measure it, you can’t improve it.” – Peter Drucker. It’s the same for your email marketing campaigns. But what many marketers don’t realize is email marketing metrics go beyond open rates, click-through rates (CTRs), and unsubscribe rates. In fact, these won’t help you answer the key question – is your email marketing campaign effective? So in this guide, we’re going to look at everything you need to know about email analytics. You’ll learn about the key email marketing KPIs – the ones you see in your email marketing platform or your email analytics tool, and the ones you can only calculate yourself – once you know the costs and have defined what conversions look like to you. If you’ve worked with email analytics before, I’m sure you know how difficult it can get to see the bigger picture. Even if you know how to track your email marketing KPIs, without any benchmarking you just don’t know whether your results are all that good. Is a 25% good for an average email open rate? Or is a 4.5% average click-through a satisfying result? That depends on your industry, the customer segment you’re targeting, your location, and other such factors. That’s why before we dive into defining and exploring the email marketing metrics, I’d like to invite you to bookmark a handy resource. Email Marketing Benchmarks is our quarterly email statistics report with expert analysis. With these, you’ll know when to send, whether to personalize and how to tweak your emails for better engagement and performance. Below is a list of the most important email marketing metrics you should track and pay attention to when doing your email campaign analysis. We’re planning to update it. So if you think it’s missing something or you’d like us to shed more light on any of the listed metrics, let us know in the comments below. It’s a long list. But you can click the quick links to jump ahead. Note: Different email marketing service providers may have their own ways of calculating these metrics. The following formulas are something I’d like to refer as a “standard” way of measuring your email campaigns’ performance. To be sure that you’re comparing apples with apples, I’d suggest that you compare the metrics using one single tool or email analytics dashboard. Before you dig deeper into the definitions, I’d like to take a moment and emphasize that not all metrics were made equal and you don’t need to worry about all of them the same way. The most important difference lies in the amount of impact they have on a company’s performance and the decisions you can make based on them. In the web analytics world, we often distinguish between vanity and actionable metrics. And this refers to email analytics, too. Vanity metrics are nice to look at, but you don’t have control over them. They also don’t really tell you how your business is doing. Think of the number of people that follow your business on social media. If your fans are not buying from you, it doesn’t really matter if you have 10,000 or 100 followers on Facebook or Twitter. Actionable metrics are the ones that bring you closer to understanding if your business is in a good shape. Take sales revenue for example. If you know how much it cost you to run a campaign and how much revenue it generated, then you more or less know how you’re doing. That doesn’t mean that metrics such as the number of followers, email open rates, or whatever else you consider as “vanity metrics” are not useful. What makes a metric actionable or vanity may depend on the situation. If your job is to improve your email open rates because they’re a sign of your marketing campaign’s reach, then it won’t be a vanity metric for you. Plus, maybe the metric on its own doesn’t mean much, but when you put it together with another one, it becomes much more important. For example, if you have low open rates, it might mean that your audience isn’t engaging with your communication. But if you also see high bounce rates, you might have problems with your inbox placement. At the same time, if you’re the marketing manager for a SaaS platform and you reported that your latest campaign generated 10,000 new users, 0.1% of which are active, then that number of new registered users could be considered as a vanity metric. It sure makes you feel good, but you can’t make a good business decision without having more information. The lesson here is that you should always think twice when you’re reporting any of the metrics. Consider whether they’re actually helping you understand your business better and whether there’s a way to control them. Which metrics are the most important? Now that you know the difference between vanity and actionable metrics, it’s time to answer the fundamental question – which email marketing metrics are the most important to look at? To give you the most accurate answer, I’d have to know your campaign and measurement objectives. That’s because all of the metrics listed below are important to some extent. And depending on the situation, you’ll be more interested in one or the other. But I don’t want to leave you with the classic ‘it depends’ answer. So, below are the 5 top email marketing metrics I consider the most crucial. If I were to analyze the performance of an email marketing campaign for GetResponse or one of our customers, these are the ones I’d usually start with. Conversion rate focuses on the results – how many times or how many of your recipients have taken a given action. For example, how many times they downloaded your ebook, how many of them registered for a webinar, or visited your product page. Even though the conversion rate doesn’t take into account the costs of running the campaign, by looking at it, you’ll usually know if your campaign was successful. You can compare it to other similar programs you’ve run in the past or look at the industry benchmarks. And if something’s off, you can dig deeper and look at other metrics to get the full view of the situation. As you’ll read more on this later, email open rate is sometimes considered a vanity metric. Contrary to email conversion rate, it won’t tell you whether your email subscribers have taken any action (other than skimming through your newsletter). But if your goal is to understand why you’re observing low conversion rates, you’ll need to look at the open rates. If your conversion rates are low and the open rates are off, too – then it’s very likely that you’re having trouble with deliverability. (In such situation, your bounce rate would usually also be high). If your conversion rates are low, but the open rates are on their standard level, then it’s likely that something inside of the email message is to blame. As you can see, email open rates can be helpful in understanding the why behind your campaign’s performance. Just like with email open rates, you’ll want to look at the click-through rates to see what stands behind your conversions. If the conversion rate was high and you’re satisfied with the results, you might as well skip this process. But if the conversions weren’t satisfying, check if there was any significant change in the number of clicks you’ve observed. To take an example, let’s say you were organizing a webinar and you weren’t happy with the number of people who registered for it after receiving the invitation link in the newsletter. If your click-through rate’s similar to your average, then the problem’s probably with something on the registration landing page. Maybe it was running slow, or it wasn’t convincing enough, which caused many people to leave the site. A quick look at the deliverability rate can help you understand your email campaign situation. Are my emails designed well? 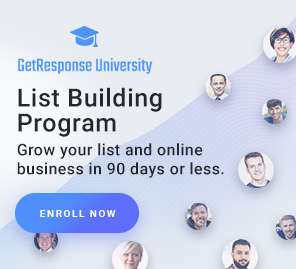 Am I following the best practices of email list building and mailing frequency? Is the infrastructure I’m sending my campaigns from working? Deliverability problems can happen to anyone, and their impact can be colossal. Even the most beautiful, thoroughly personalized, and hand-crafted newsletters won’t work if they end up being rejected by the recipient’s server. Even if you can see that your conversion rate is high, and people are opening and clicking-through your campaigns, what you’re not seeing is the number of recipients you’re losing in the process. A business cannot last without its customers. Likewise, an email campaign cannot succeed without the recipients. That’s why it’s essential to monitor the unsubscribe rates levels. To be sure that your business is growing rather than shrinking. Alright, let’s now dig a little deeper and see how these and other metrics are calculated, tracked, and why they are important. Email open rate is simply how many times subscribers opened your emails. It’s shown as a percentage and is calculated by dividing emails opened by emails successfully sent (excluding those that bounced). How are email open rates tracked? To track email opens, most email marketing providers embed a small transparent image or 1×1 pixel into your emails. The host server then records the ‘open event’ when the browser or client request to download the image. That means an open only counts if your recipient opens the email and enables images – or clicks a link. So it can be tricky to get a truly accurate rate, since some people only open the text version, and some email clients block images by default. Some say email open rate matters more than any other metric. It tells you how many people looked at your message – and are interested in your offer. But some email analytics professionals say the open rate is a vanity metric. It’s nice to look at, but it doesn’t show the campaign’s impact on your bottom line. Despite the pros and cons, it’s still important to know and pay attention to your open rate. It highlights your reach, and is an easy way to compare campaigns – such as those sent to different customer segments. Many things can affect your open rate. And a ‘good’ rate varies between countries, industries, companies, and even individual campaigns. Email click-through rate (CTR) tells you how many times the links in your emails were clicked. Expressed as a percentage, it’s calculated by dividing recorded clicks by the number of emails successfully delivered. How is email click-through rate tracked? Most email marketing providers track the CTR with a tracking domain. It’s automatically added to any email with a link. When the subscriber clicks the link, they’ll go to the tracking domain first – and then be redirected to the destination URL. The email click-through rate is probably the most important metric to keep an eye on. Sure, it doesn’t reflect your campaign’s monetary value. But it’s a good indication of engagement – and tells you a lot about your campaign quality. Keep this in mind when measuring your campaigns, so you don’t compare apples and oranges. What’s a good email click-through rate? As with open rates, many things influence the clicks your campaign generates. Sometimes you’ll see CTRs of 10-20% – especially for automatically sent campaigns that call for instant action. Such as a welcome email, with a download button to get a lead magnet you signed up for (like an eBook). But typically, click-through rates range from 2-6% across all campaign types. Of course, some industries will see lower rates – even when businesses get a great return on investment from their campaigns. These include travel and real estate, as people don’t book holidays or buy houses every other week. Here are the top five industries for CTR from our global email statistics report. Bounce is what happens when emails don’t reach the recipient, or are returned to sender. Why do emails bounce? It could be the recipient’s restrictive filters or full inbox – or an incorrect email address. A hard bounce happens when your email is permanently rejected (because the recipient’s address is invalid or doesn’t exist) and the receiving server is unlikely to ever deliver it. A soft bounce happens when the email reaches the recipient but bounces back (perhaps because their mailbox is full), but there’s still a chance future emails will be successfully delivered. Your bounce rate can give you deeper insight into deliverability issues due to technical glitches, a poor sender reputation, or problems with your list or content. Your bounce rate should be as low as possible. But since some influences are out of your hands (like when a recipient’s inbox is full), it’s virtually impossible to reach 0%. Sometimes your bounce rate will go up. Like when you change email service provider without updating your SPF and DKIM DNS records – and suddenly send large volumes through new IPs. Or if it’s been a while since you contacted your customers, and you go on a sending spree (say, over a million messages in a day). Your bounce rate can also rise if an ISP is down or has a technical glitch. The key takeaway here is ISPs have different anti-spam filters to prevent users from receiving unsolicited content. Your sender reputation – and how subscribers interact with your emails – will also affect deliverability. Think about how you collect signups, manage list hygiene (how you deal with users who bounce, unsubscribe, complain, or don’t engage), and design and send your campaigns. Because all these elements can affect your bounce rate. The unsubscribe rate tells you how many people clicked the unsubscribe link (usually found in the footer) and opted out of future sends. Usually, your email marketing platform will automatically attach the link to your emails. But you can also add it manually with a system link or ‘merge tag’. When the message is sent, the system automatically changes the code into a unique unsubscribe link, so we can track and remove the person who opts out. To calculate the unsubscribe rate, just divide unsubscribes by delivered emails. Why does the unsubscribe matter matter? The unsubscribe rate can give you a better understanding of your email campaign performance – and if your contacts like what they get. GetResponse and some other email marketing providers offer you an ‘exit survey’. This is shown to people after they opt out, to help you see ways to improve your sends and keep customers longer. You can use the data to decide whether to change how often you send, what you send, or to improve the signup process. At the same time, it helps your email provider assess your campaigns and check they follow email marketing best practices – like when collecting consent. What’s a good unsubscribe rate? Your unsubscribe rate will fluctuate, as it depends on things like how often you send campaigns. However, anything above 0.5% should alarm you. If you spot unusual unsubscribe levels, take a look at your latest lead generation strategies and most recent campaign. There are many reasons why it could happen. Someone might be intentionally adding emails to your list – which would likely also spark higher complaint rates. Or maybe you launched a more ‘aggressive’ campaign. If so, dig deeper into your email analytics tool and weigh up whether the conversions and ROI outweigh the cost to attract new contacts. Also known as an ‘abuse complaint’ or ‘spam complaint’, this is when someone reports an email as spam – either by clicking the ‘mark as spam’ feature in their inbox, or contacting you directly. GetResponse tracks all reported spam complaints, to help maintain our strong sender reputation and optimize your deliverability. Each complaint is processed via Feedback Loop, which lets you know your email was marked as spam. Your complaint rate gives greater insight into your list quality, opt-in system, and whether subscribers like your content. Of course, you want to keep this as low as possible. But the data can be useful. And each day, be sure to check that subscribers who complain are immediately unsubscribed from your list – so you comply with best practices and laws. The best rate is the lowest one possible. But bear in mind it can depend on the market or niche you’re in. In some countries, customers tend to ignore or simply unsubscribe from email they no longer want. Some markets have more skeptical subscribers, who are quick to mark emails as spam. Either way, you can keep your rate low by inviting contacts to unsubscribe – or remove them yourself if they’re no longer engaging. There’s nothing worse than following best practices and then having your messages marked as spam – or being forwarded to anti-spam services. The click-to-open rate is key to evaluating your list quality and email relevancy. To calculate it, simply divide total clicks by total email opens. Why does click-to-open rate matter? You can use the CTOR to greatly enhance your email campaigns’ performance. If you have good open rates but low click-throughs, your CTOR will also be low. This might mean your subject line was more interesting than the content – or it was misleading. Or it could hint your email design needs tweaking – say with a bolder call-to-action button or better images. Going a step further, you could compare the results across customer segments to see if they behave differently. The same goes for comparing the CTOR for new and existing customers. If your message is something subscribers have seen before, your CTOR will likely be lower for that group. What’s a good click-to-open rate? It’s impossible to say. Ideally, it’ll be 100%. But that’s unlikely – unless you offer something in your first email, and recipients have to take action to get it. Be aware some subscribers tend to open everything they get, because can’t stand unread emails in their inbox. This is a problem because despite opening your emails, they might not read the message or be in the mood to buy. The conversion rate shows you how many people act on your message. Conversions are critical, but also problematic. The challenge lies in how you define a conversion. It can be anything you want. How many times someone places an order on your site, registers for a webinar, or goes to a landing page and fills in a form. So it’s different for everyone. And yet, it’s important for all. What’s a good email conversion rate? Again, this depends on what a conversion is for you – as well as the type of campaign you run, and your business or industry. If possible, assign a monetary value to your conversions. Then you can decide whether to repeat the campaign, or go a similar route in the future. This tells you how many website visitors join your email list. It’s calculated by dividing total signups by total visitors. The signup rate shows how well you attract visitors to a landing page (such as via a PPC campaign) – and whether the page and signup form do the job. Both can affect your signup rate. So once you know yours, you can look at what to improve. For example, is your PPC campaign attracting low quality leads that don’t convert? Perhaps you selected an audience with a low cost per click, sending mobile visitors to your site…which you forgot isn’t mobile-friendly. Or maybe you reeled in the right people, but your landing page form asks for too much information. As you can see, it’s worth measuring your signup rate. Just be aware of all the things that can influence it. Your churn rate is the percentage of subscribers who leave your list in a given period. It’s calculated by dividing the amount of people who leave your list (because they unsubscribe, mark you as spam, or bounce) by your list size. A word about bounces: Not all email marketing providers remove these contacts. Some only remove hard bounces, while others also delete those that bounce regularly. To get an accurate churn rate, remember to count contacts removed from your list. Very few marketers doing email campaign analysis track their churn rate. But you should know it – even if you only measure it once a year, or every quarter. Churn rate tells you how fast subscribers leave your list. It also predicts how quickly you’ll “burn through” your database, if you keep things the way they are. Armed with this insight, you can decide if you want to adjust your strategy. Say, by sending emails less often – or tweaking how you attract subscribers in the first place. Be aware there are two types of churn rates: transparent and opaque. See Pam Neely’s article for a great explanation of both. We’ve already covered transparent churn. These are the people who voluntarily leave your list – via an unsubscribe link, marking it as spam, or bouncing. Opaque churn is a bit trickier, as it includes people who “emotionally unsubscribe”. They’re on your list, but don’t see your emails. Why is opaque churn harder to handle? Because disengaged people on your list can negatively impact your deliverability rate. ISPs like Gmail look at your engagement when filtering email. If you continue sending it to people that don’t respond, the ISP might stop letting it through. To avoid that, set up an automated re-activation campaign or get in the habit of reengaging or removing inactive contacts. You’d think the lower the churn rate, the better. But that’s not always true. Some business choose to run more aggressive email campaigns. For instance, they send lots of follow-up emails in a short time. This prompts more contacts than usual to opt out. They know this causes more churn. But they’re also looking at other metrics, like conversions and the campaign value. If these generate enough profit – and outweigh the cost of getting new signups – it’s a green light to continue. So what’s a bad churn rate, then? To figure that out, see how much it costs to attract new contacts. Will this go up over time as your target audience dries up? And what’s the total value of conversions from each campaign? And if you want this metric to be more actionable, measure it regularly – say monthly. Then calculate how many months your list will last if you don’t attract new leads. 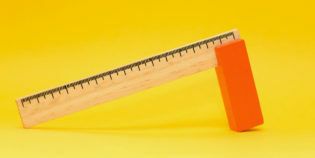 Just take care when measuring your churn rate. A monthly churn rate of 5% may seem small, but that’s 54% across the year! So you’d have to make up the loss, before your list grows. Subscriber retention rate is the opposite of churn rate. It tells you the rate at which your contacts stay with you – or flee. To calculate it, subtract unsubscribes and bounces from your total number of subscribers. Then divide that number by the total number of subscribers. Let’s say that as of today, you lost 100 subscribers: 50 opted out, 45 bounced and were automatically removed, and 5 marked your email as spam. One month from now, you decide to calculate your retention rate for a list with 1,000 contacts. Like the churn rate, it’s worth knowing how well you hold onto your contacts. It’s up to you which one you measure – just so long as you do it regularly. I prefer to focus on churn, since it’s more common when talking about subscription businesses (like SaaS platforms). It also feels more urgent. Once you know how quickly people leave your list (or business), you know how long you can keep going if you can’t afford to find new leads. total value of conversions: are you generating enough profit to outweigh the costs to find new contacts? size of your target audience: will you run out of leads? how fast you can replace old contacts with new leads: will the costs increase and eventually outweigh your profits? how all these things will affect your brand: besides short-term profits and customer acquisition costs, how will your brand be perceived after the campaigns? This is an easy one: how much revenue you make from each email. Average revenue is a useful and actionable metric, one you should keep track of in your email analytics reports. It can help you make faster, better decisions – especially if you want to use your campaigns to sell more products. Just remember not all emails are designed to directly generate revenue. Look at your welcome emails or retention emails. Are they meant to drive sales? See, the average revenue per email sent metric can work well. Just use it with caution. If you plan to report email-generated revenue to your boss, make sure that you always use the same data sets. I think it’s better to look at how many emails were sent, since that leaves little room for interpretation. That is: was this email meant to drive sales or not? It’s also a good idea to segment the results by campaign. You might find your automated campaigns – like onboarding or reactivation messages – drive more sales than your weekly promotional emails. This depends on your business, and the price of your products or services. So just start tracking it, then benchmark it against your own results over time. And set SMART goals, to see how you can improve on your results. This also gives you greater insight into your campaign value. As with any marketing campaign, take your sales revenue and subtract the costs to run the campaign and the costs of goods sold. This metric’s very useful, but also tricky to measure. After all, do you know the cost to run your campaigns? Do you just include the costs to create, test and send your newsletter? Or do you also include the price to buy your list in the first place? What about other expenses like wages for the people who manage your marketing or sales? As you can see, there are many factors to consider. So if you decide to measure your profitability, stick to one approach – and let your managers know why. Again, it’s best to benchmark it against your own results. You can then see if you’re headed in the right direction. Of course, many things can impact your profitability – like your competitors or the seasonality of your business. Just keep that in mind when analyzing your results. The delivery rate is how many emails are accepted by recipients’ servers. the receiving domain: is it valid? the recipient’s address: does it exist? your IP: is it blocked or blacklisted? is your sending infrastructure set up properly and transparently? That being said, senders can define the delivery rate differently. They could base it on the classification of bounces, or how many messages were actually sent. Also known as inbox placement, the deliverability rate tells you how many messages reach the recipient’s inbox or a folder (except the SPAM folder). Authentication: are you a genuine sender? Reputation: do recipients respond well to your emails? Content: is it relevant and expected? Is it high quality – or typical of suspicious senders? Each of these parts work together to paint a bigger picture about you – and the messages you send to recipients. 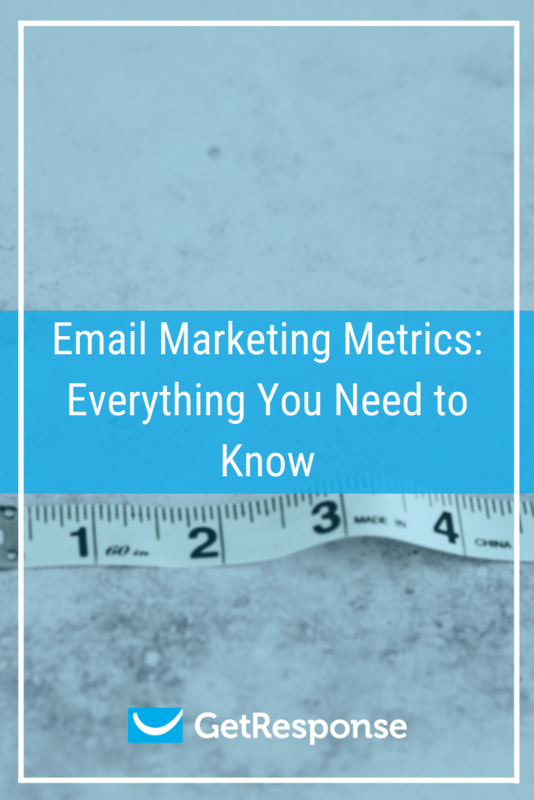 Which email marketing KPIs do you keep your eye on? These are some of the most common metrics we use – or see others rely on to boost their ROI. But you might find others that suit your business better. Please let us know in the comments below, so we can keep this guide updated and relevant. Or simply leave some feedback. We’re all here to learn!